Lightweight and breathable, the Sitka Gear Ascent Cap dries quickly to keep sweat out of your eyes when moving fast. This low profile, technical cap provides necessary protection on those long hot days pursuing your quarry. When the early season heats up, even a cotton hat is too much. Lightweight and breathable, the Sitka Gear Ascent Cap dries quickly to keep sweat out of your eyes when moving fast. This low profile, technical cap provides necessary protection on those long hot days pursuing your quarry. When the early season heats up, even a cotton hat is too much. 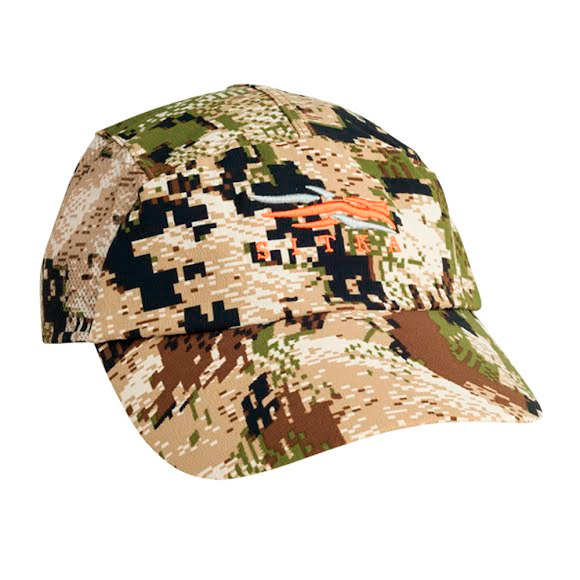 The Ascent Cap provides necessary sun protection in a quick drying, breathable hat with mesh side panels for added ventilation. Traditional ball cap styling is low profile, with an absorbent interior sweatband and adjustable back for a custom fit.